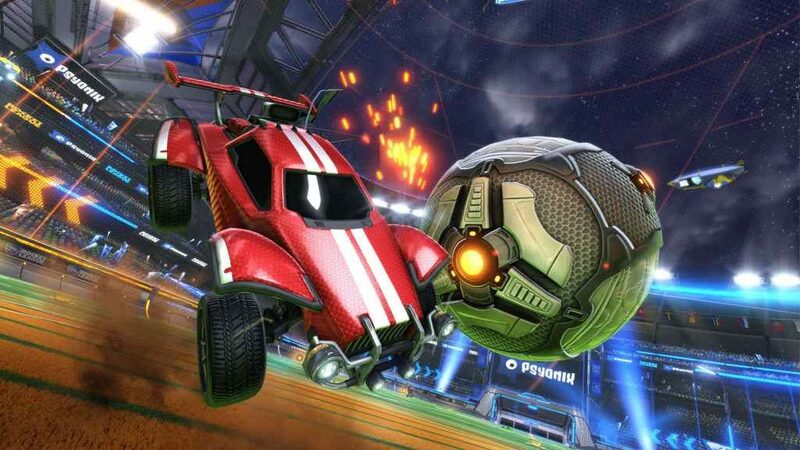 Update 10/04/2019 @ 12:12 – Following last weeks’ post on the Rocket League Esports Shop update, Psyonix has shed some additional light on the game’s third Rocket Pass. We already new Rocket Pass 3 would be arriving on the 17th April, a day after the Esports Shop update is due to go live. However, we now know that it will conclude some two months later on the 29th July. Additionally, Psyonix has revealed that there will be both a premium and free version of the pass. The former is available from the main menu for the price of ten Keys and comes packed with up to 70 unique rewards, including a new battle car, goal explosion, and much more besides. While the latter features over 20 such rewards, each of which can be earned simply be competing in online matches. For more info on Rocket Pass 3 and its new weekly challenges, head over to the Psyonix website or watch the trailer below. Original article 04/04/2019 @ 11:29 – The Rocket League Esports Shop update is coming to all major platforms on the 16th April 2019, developer Psyonix has confirmed. Heralding the arrival of not only the Esports Shop itself, but also new customisation options for the game’s replay mechanic, HDR support, and, most importantly, Rocket Pass 3. As the name would suggest, the Esports Shop will be chock full of items representing various teams from the game’s competitive scene. We don’t know the identity of the teams in question at this stage, unfortunately. Or how, exactly, the shop will look when it arrives. However, Psyonix has promised to reveal more information at some point next week. Releasing a day later as part of the wider update, meanwhile, is Rocket Pass 3. The most significant feature of which is the brand-new Challenge System. Again, as with the Esports Shop, Psyonix won’t be releasing a detailed breakdown of the new system until next week. Although, based on the brief synopsis provided on the game’s official website, it sounds as if the overall goal is to offer players the opportunity to “climb their way to the Pro Tiers”. Rounding out the Esports Shop update will be a number of additional features. Chief among which is the new Replay FX system, designed to give creative types all the tools they need to make some truly eye-catching videos. With this new toolset, you’ll be able to give your replays the full “photo mode” treatment by changing the depth of field, altering backgrounds, adding green screen effects, color adjustment, and more post-processing effects. HDR support for the PS4, PS4 Pro, and Xbox One S will also be included in the update, along with a number of Monstercat flags and various quality of life improvements. Stay tuned to PSU and the official Rocket League blog over the coming days to stay in the loop.